Abishek Singh Sheku is a 26 year old who has a medical condition due to which his right leg is stunted and lacks muscle growth. This condition however, does not stop him from training hard every day. He is a cyclist who has already conquered the Asian Championship title. Due to the lack of competitors in Indian Para Cycling, he competes against able bodied cyclists in local races, and finishes ahead of many of them. 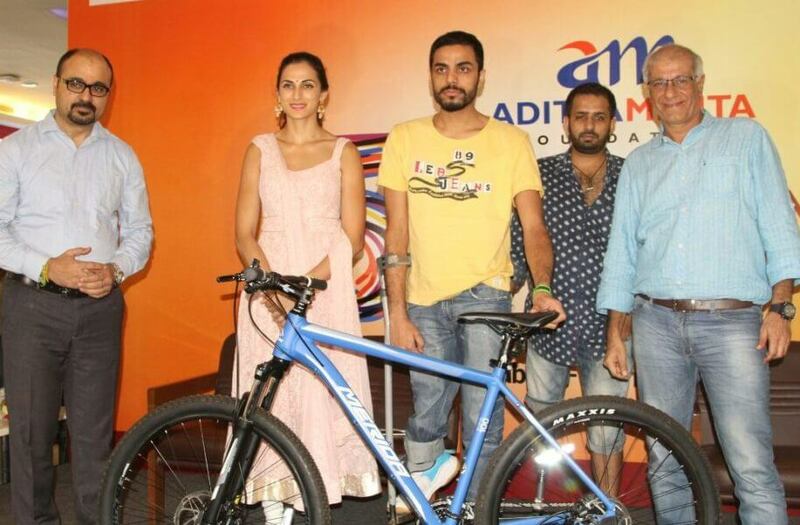 Abishek’s first road bike was sponsored by the AMF. Our relationship has now gone one step further, as we sponsored a new Merida Mountain Bike worth Rs.60,000 for him, to cater to his off road competitions! He is one of India’s fastest para athletes on 2 wheels, and is itching to have a go at many more International events.